The Yellow Democracy: Why It's NOT Working! 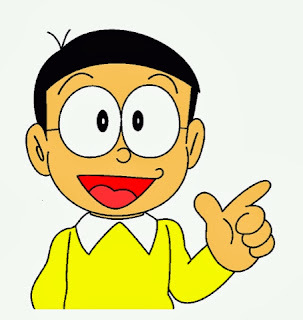 Forget people "kili kili" power at EDSA, the whole 1987 Constitution is really nothing more than a democracy gone wrong and unfortunately, President Nobita is a very good example of that. You might as well call it democrazy or dumbocracy because that's really how President Nobita runs the Philippines or two, a dumbocrazy is just as bad as a dictatorship for the economy. President Nobita's ideology ahem idiotology is really, really not doing anything better than the corrupt administration of Gloria Macacapal Abobo either. Why did he get rid of a good cruise ship in exchange for a bad one? It's simple, Nobita's brain is so tiny and this is what I'd rather call a Nobitacracy! Ousting a dictator never works unless the one who takes over makes a change and unfortunately, the 1987 constitution of the late Cory, Nobita's mother has also created a very stupid economy that continues to defend EVEN the Macoy cronies like Juan Ponce Enriche and Gago Hopelessan. One could really see how the Philippines just got worse with the whole Yellow Democracy. Despite what they say Nobita is fixing the economy and fighting corruption, it's an exaggeration and for the fighting corruption, IT'S JUST A FREAKING CIRCUS STUPID! The 60/40 implementation that demands every last foreign business must only be 40% owned by the foreigners, 60% Filipino owned all in the name of "protectionism". So according to the standards of the Cowackos and the Aquinos from where Nobita comes from, it should protect local businessmen. However it only protects mediocre businessmen and not encourage them to compete. Really since when did 100% ownership of a business mean you're not renting the land or land has to be sold to foreigners? Many people from the Macoy Administration should have been jailed and locked up YEARS AGO. And what do we get? Juan Ponce Enriche is Senate President! Guerillo Honasan despite many coups is still in power. Macoy's widow Imelda got into power still. You might consider Bongbong Macoy is a Senator and may be running for 2016 as President. Hmmm maybe I should mention that Sherap Ejercito should have NOT been allowed to run for President or even be mayor again?! Loose law enforcement is an issue. Crimes everywhere, squatters making lawful settlers suffer, garbage everywhere. All this is happening in the name of "freedom". No wonder the cybercrime law was born because people just don't control themselves over the Internet and two, the stupid libel provision of the cybercrime law got inserted thanks to loose law enforcement. Remove the 60/40 restriction and give 100% ownership to foreign businesses as long as they follow rules and regulations. This doesn't mean however land will be sold to foreigners as well. After all logic dictates that a person may own a business and may be renting his space, but the landlord however has no ownership whatsoever to the establishment otherwise he would be the one to get the permits done! Punish all the dirty politicians regardless of wealth they have. Lock them all up and give them their just desserts. Bongbong Macoy should not even be allowed to run for president and all those pork barrel scammers should be placed in life behind bars... that should be real torture. Start training the police to be in top shape, kick out criminal cops and start enforcing laws that make the surroundings dirty and criminal filled. Start getting rid of mendicancy, start fining people for dirtying the place and start being vigilant against crime. Of course, punish crime only according to the weight of the offense.